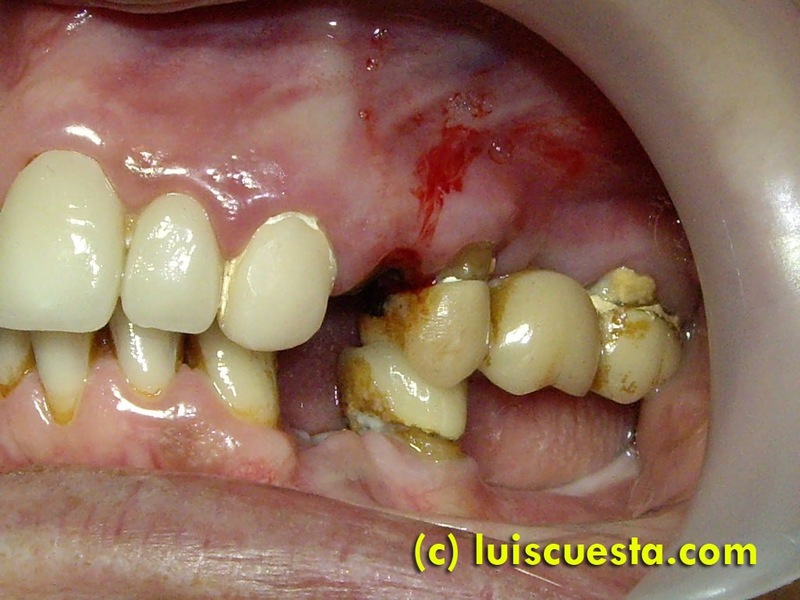 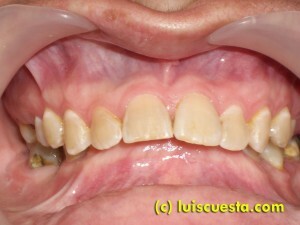 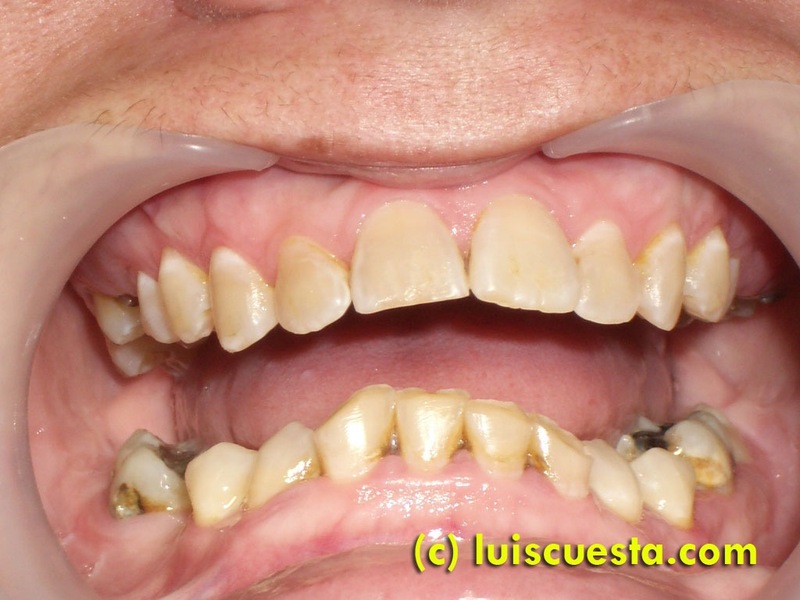 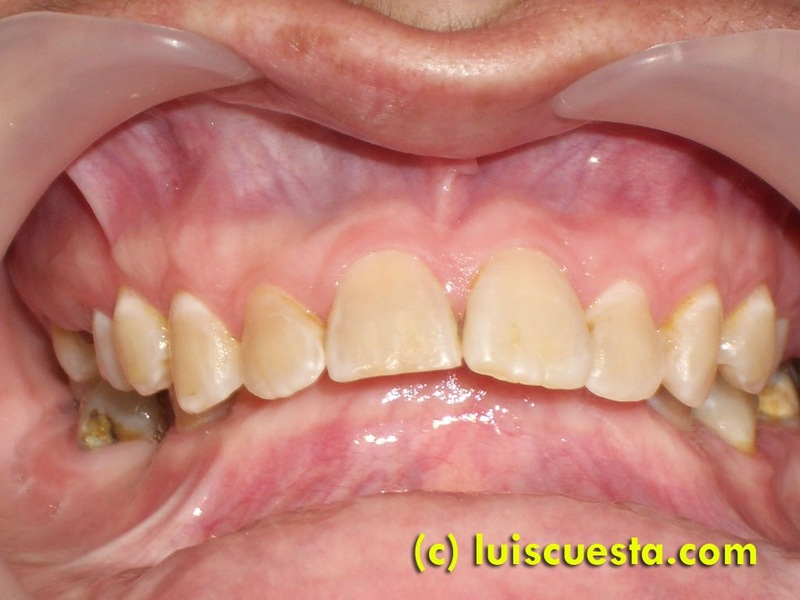 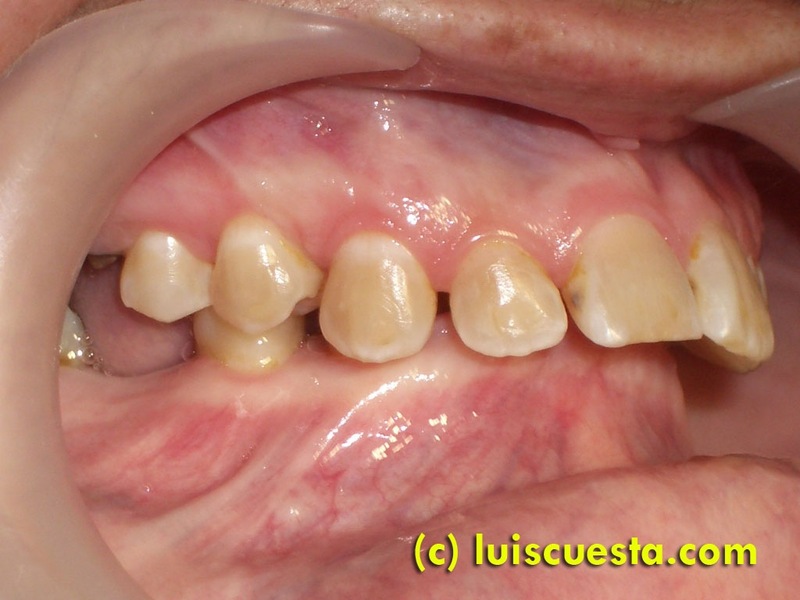 This case shows the placement of two implants on the upper left side, immediately after the extraction of two damaged roots that helped supporting an old bridge. 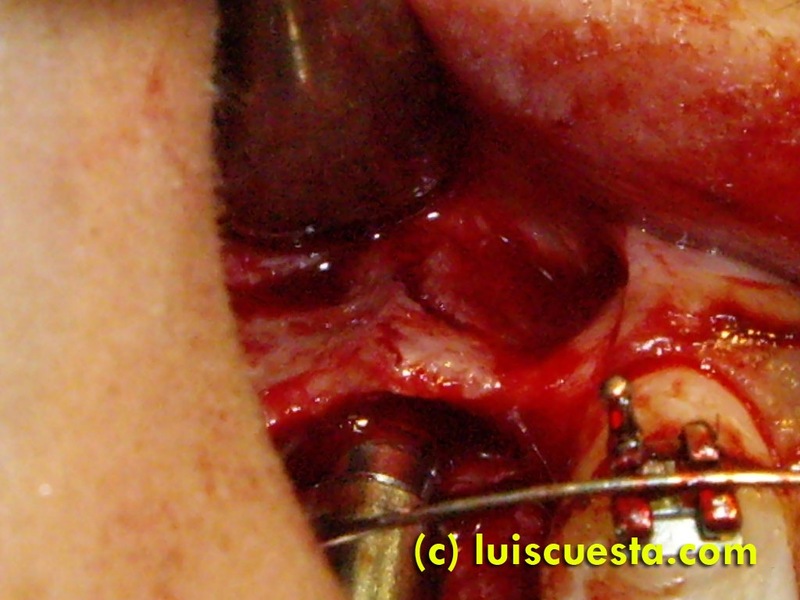 Simultaneously, I proceed to lift the sinus. 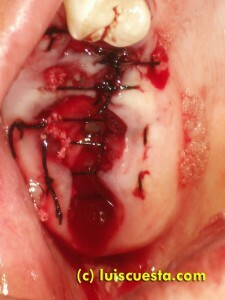 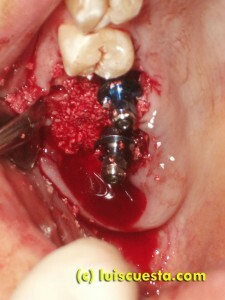 Six months will be needed for the second stage implant on the graft, 26 area. 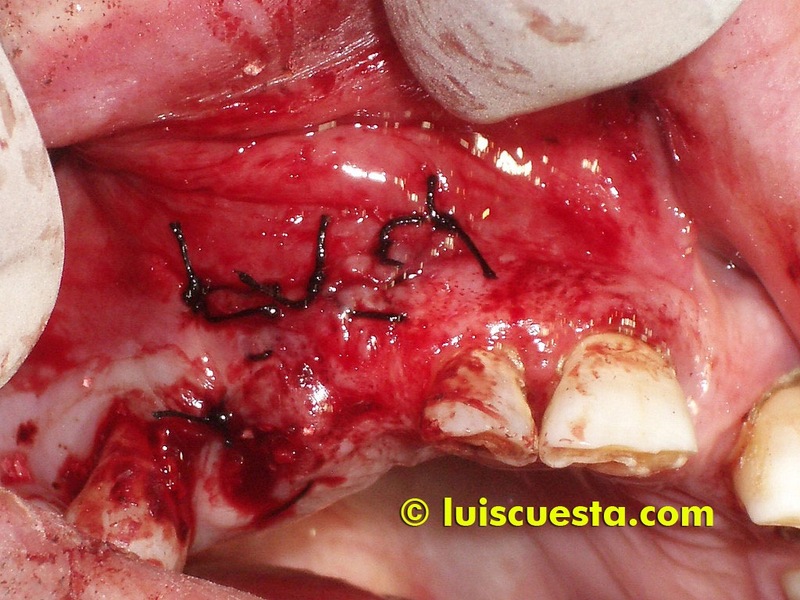 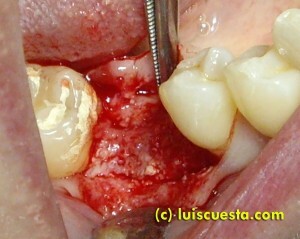 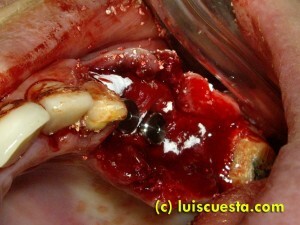 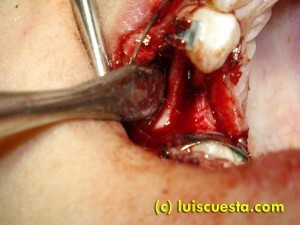 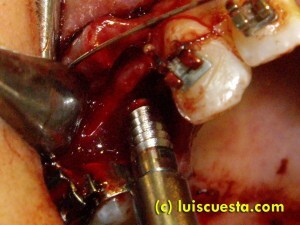 I remove the bridge and prepare to extract two bicuspid roots. 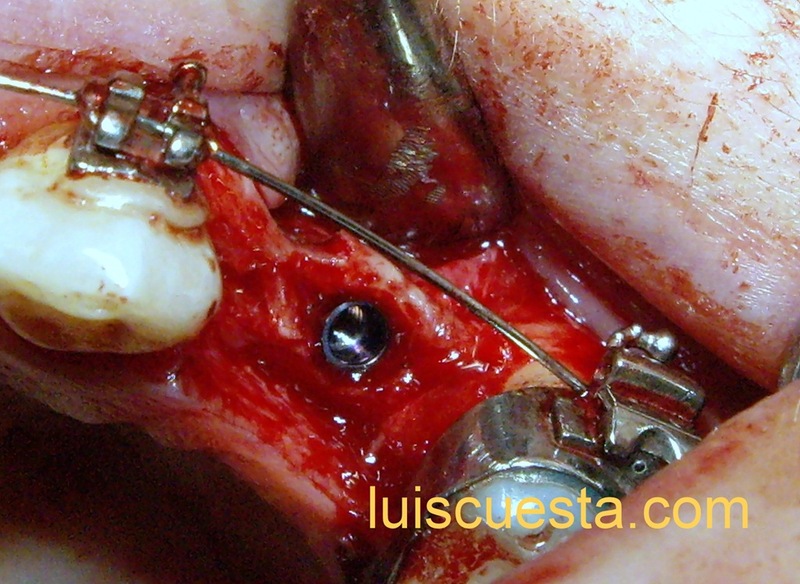 I open a flap, place the first implant on 24, carefully drill a lateral window on 26 and break it open into the sinus, pushing the membrane as far up as possible. 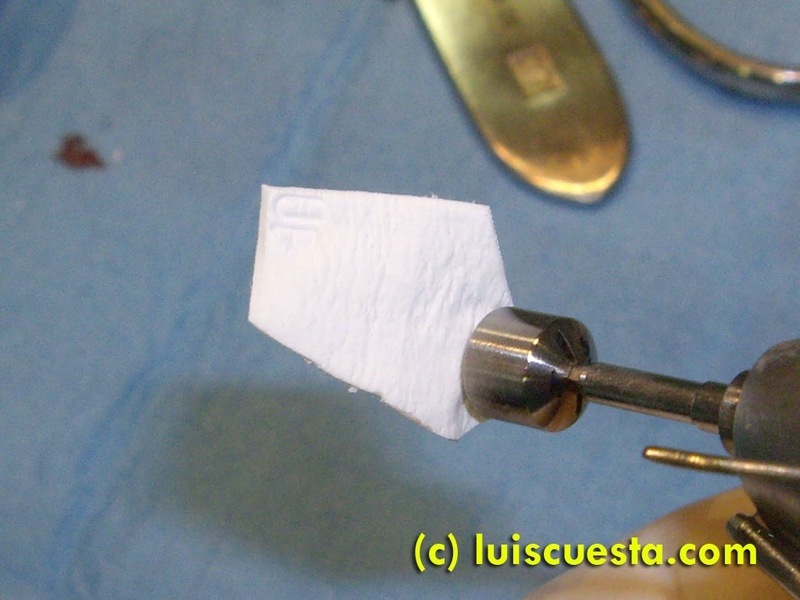 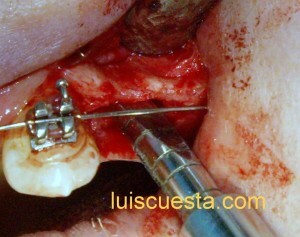 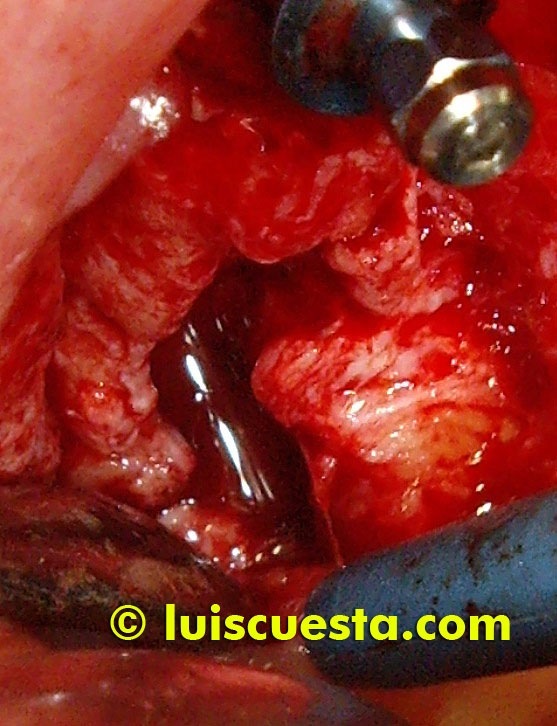 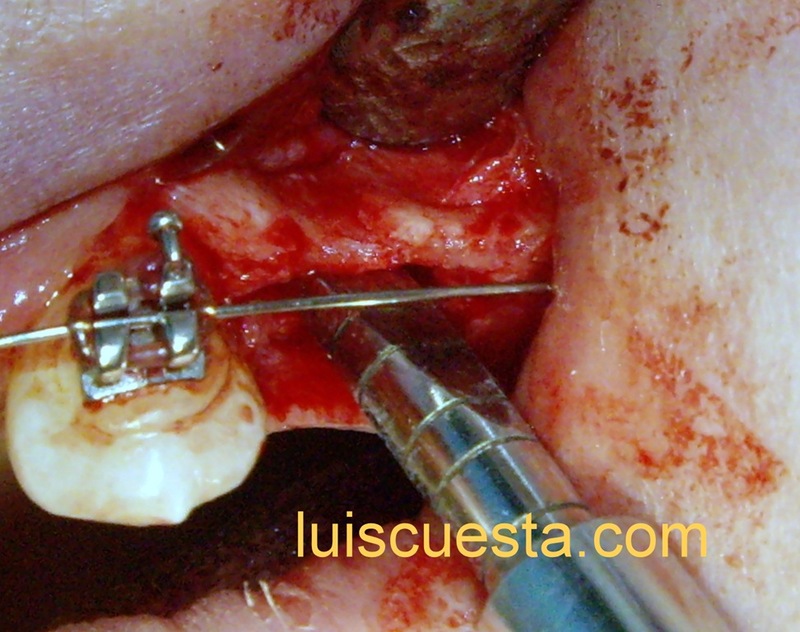 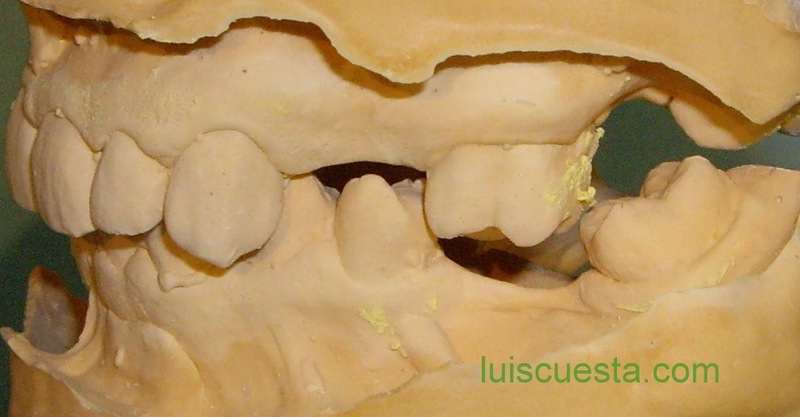 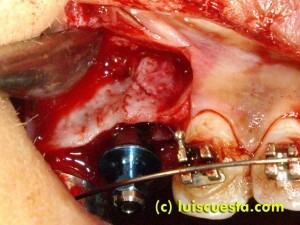 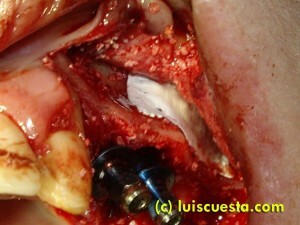 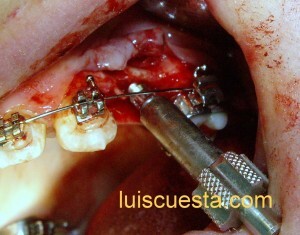 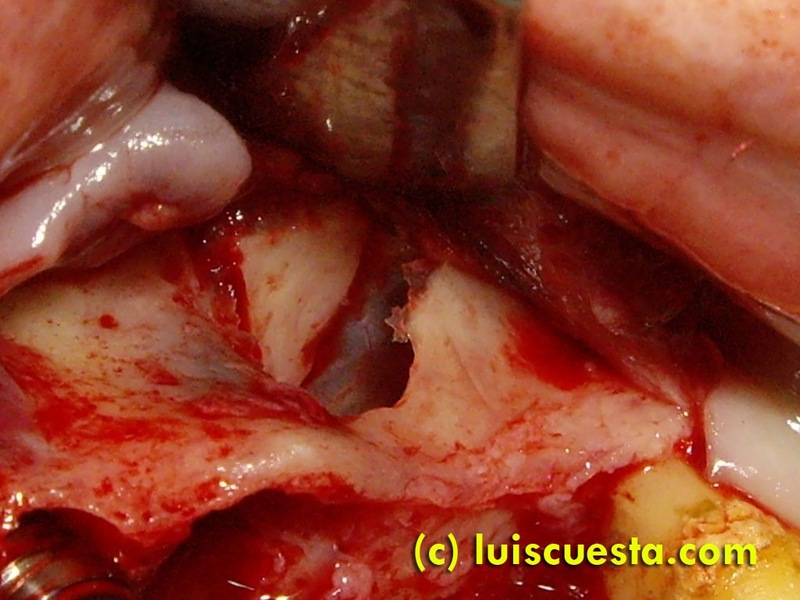 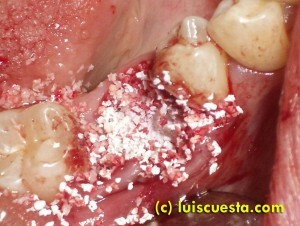 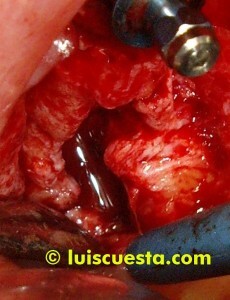 I place the bio-oss bone graft inside the sinus, cover it with a lateral collagen resorbable bio-guide membrane . 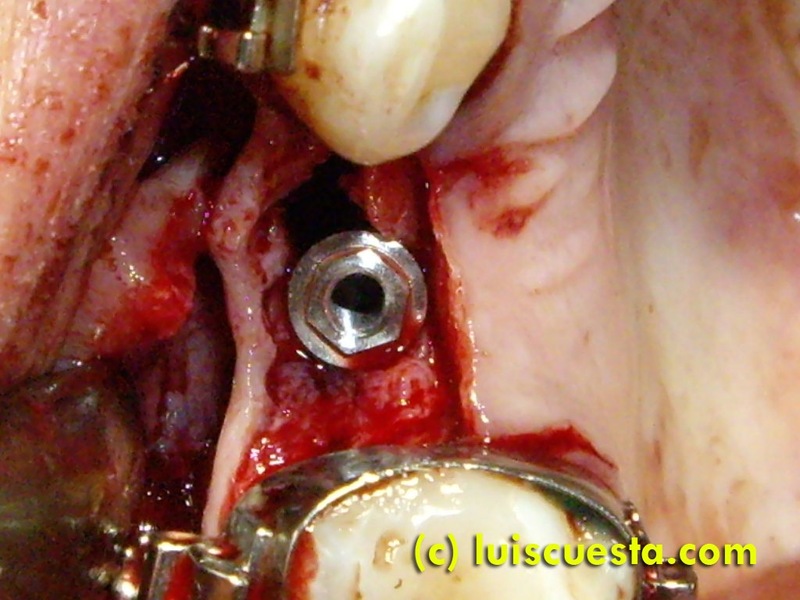 Then, I insert the second implant on the groove of 25, now that the sinus membrane has been lifted and I can reach maximum height with the implant. 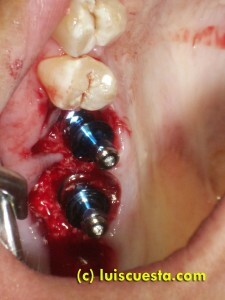 To end with, I fill the small hollow spaces around the implants with more bone graft. I cover them with another piece of membrane and apply stitches to close the flap back in place. 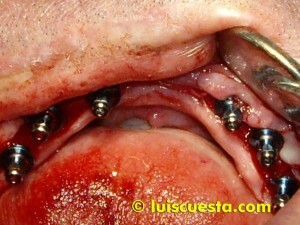 This is the result after the surgery. 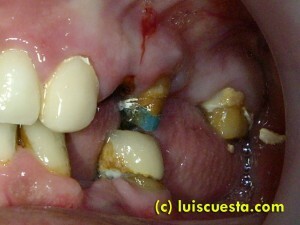 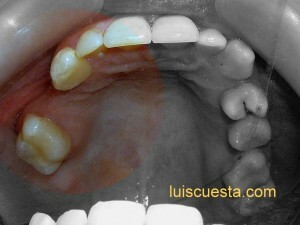 Implant 24 and the cuspid overlap on the X-ray, but it’s just an effect of the panorex. 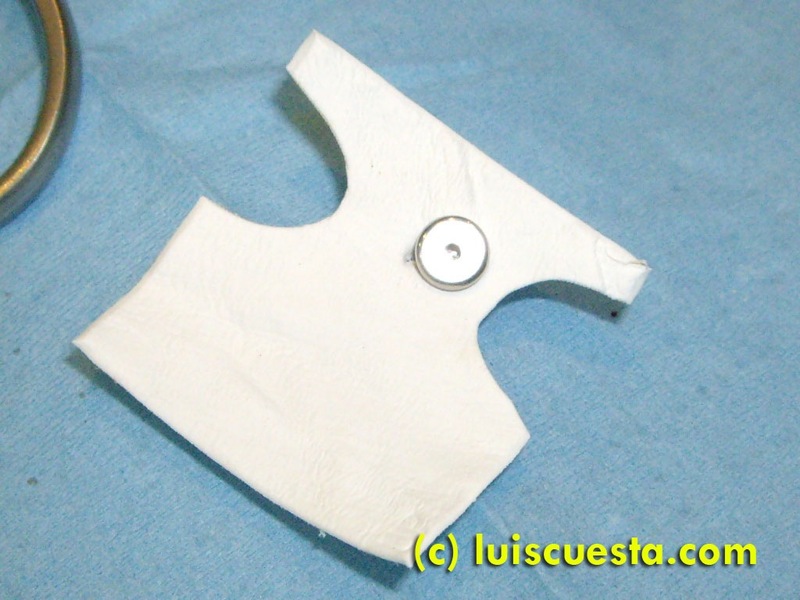 The healing screws are not completely screwed in place because they have been used to fix the second membrane and cannot fit further in, but it s sufficient. 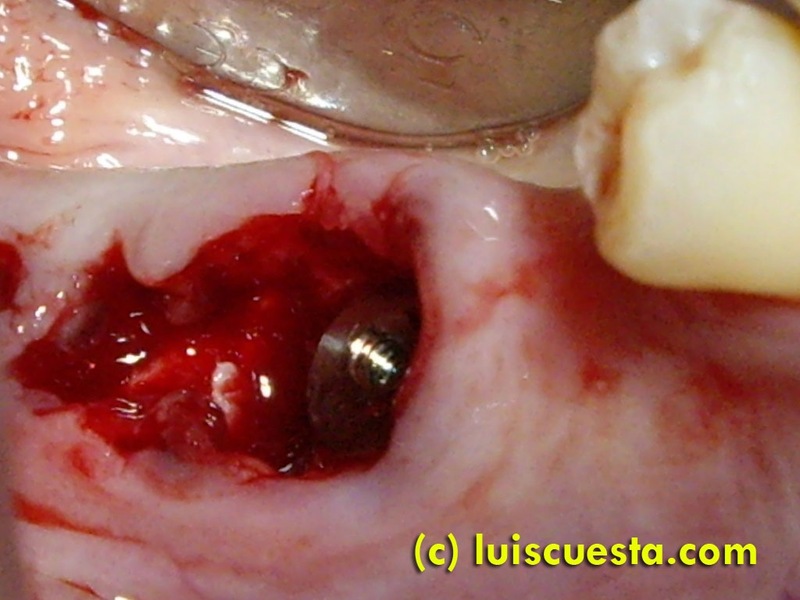 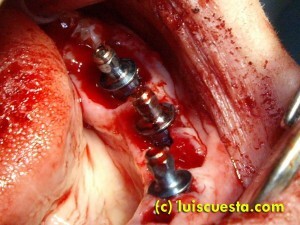 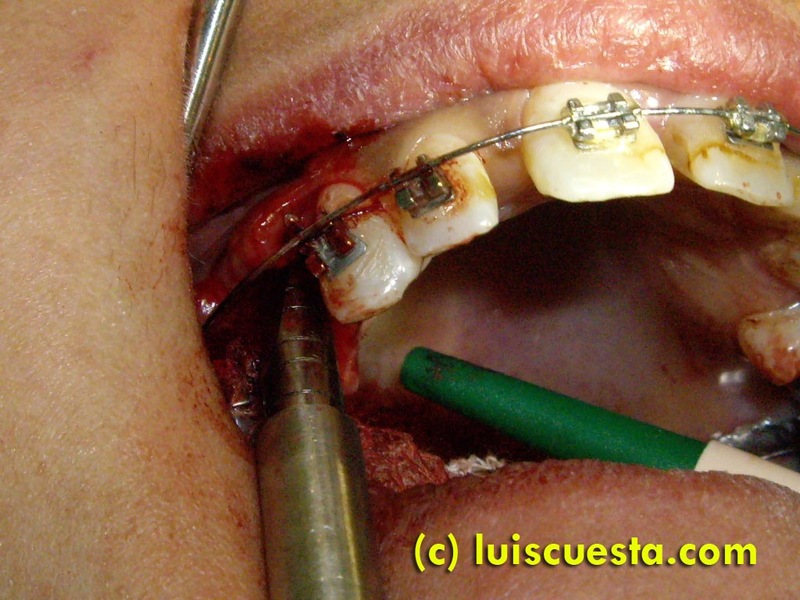 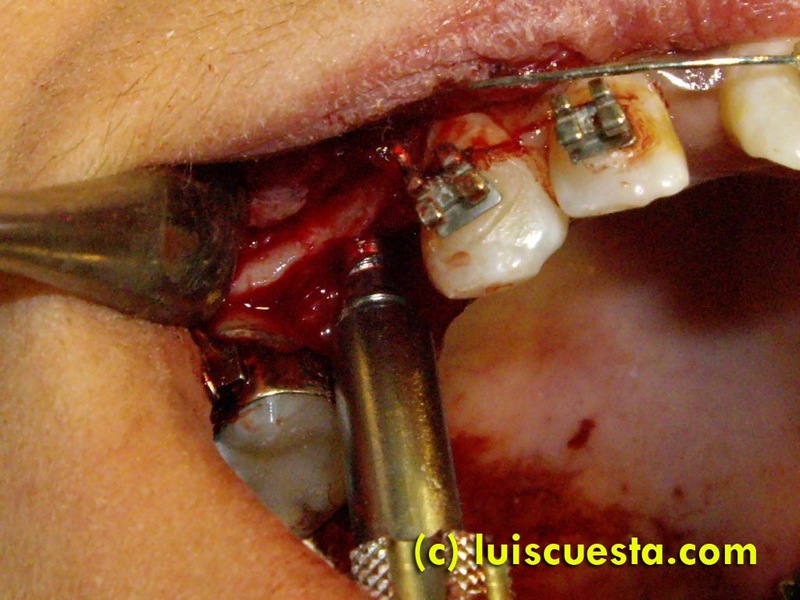 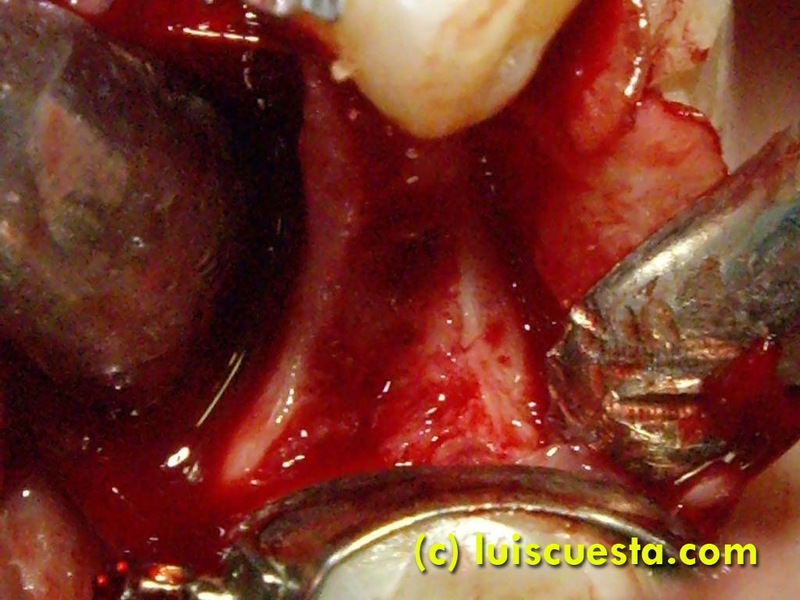 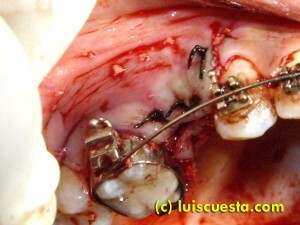 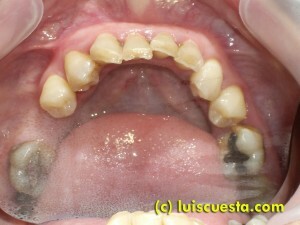 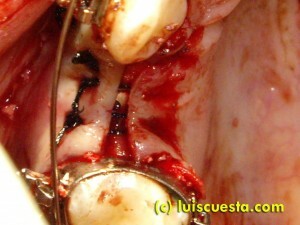 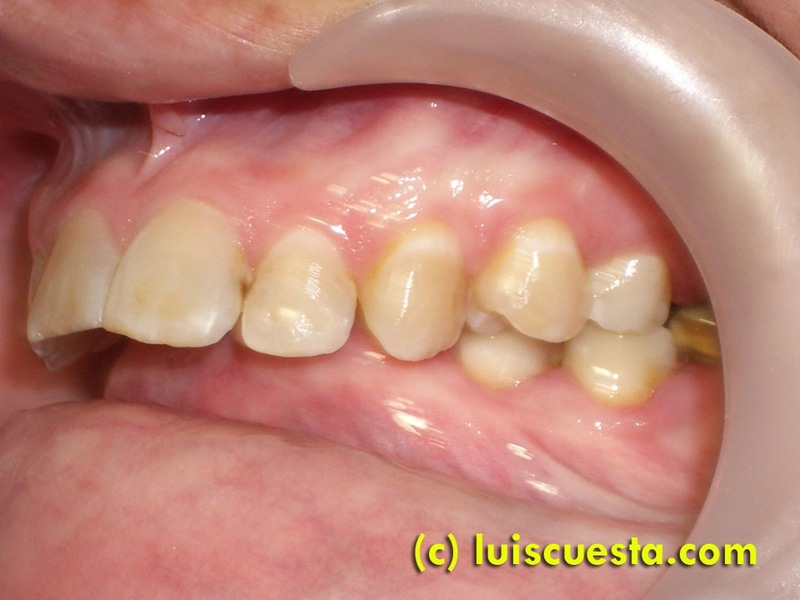 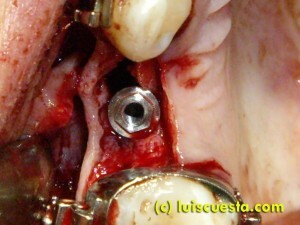 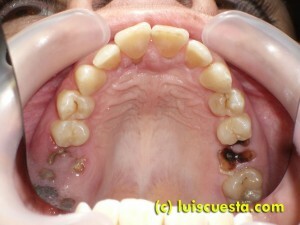 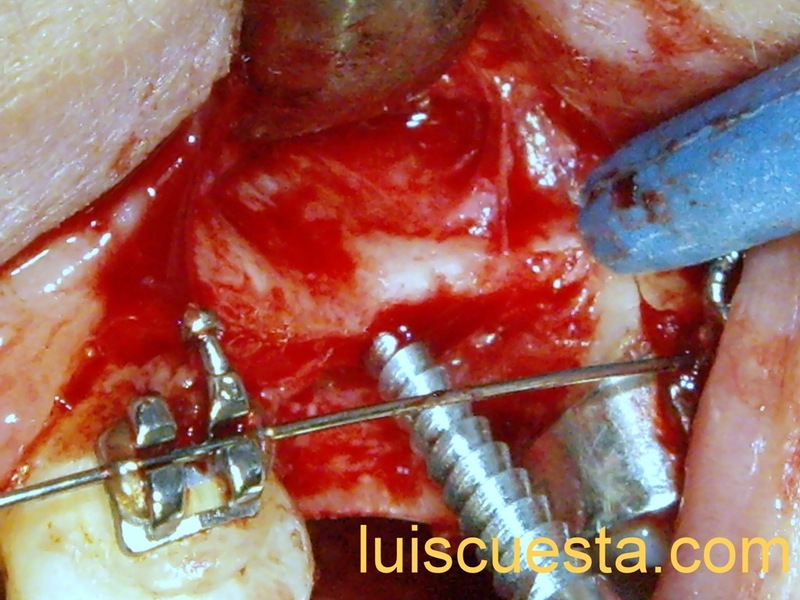 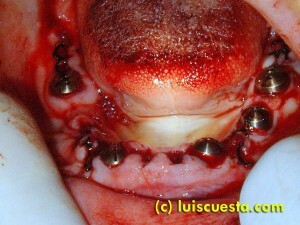 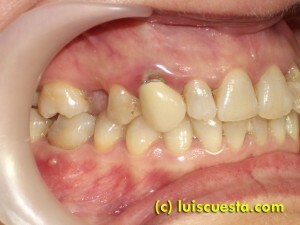 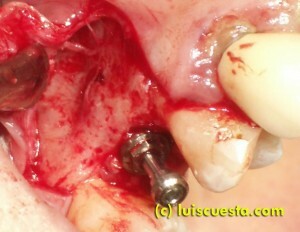 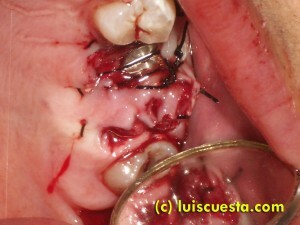 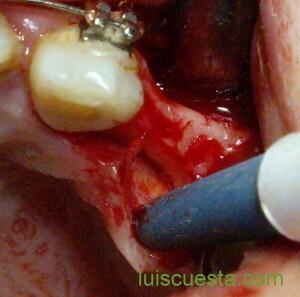 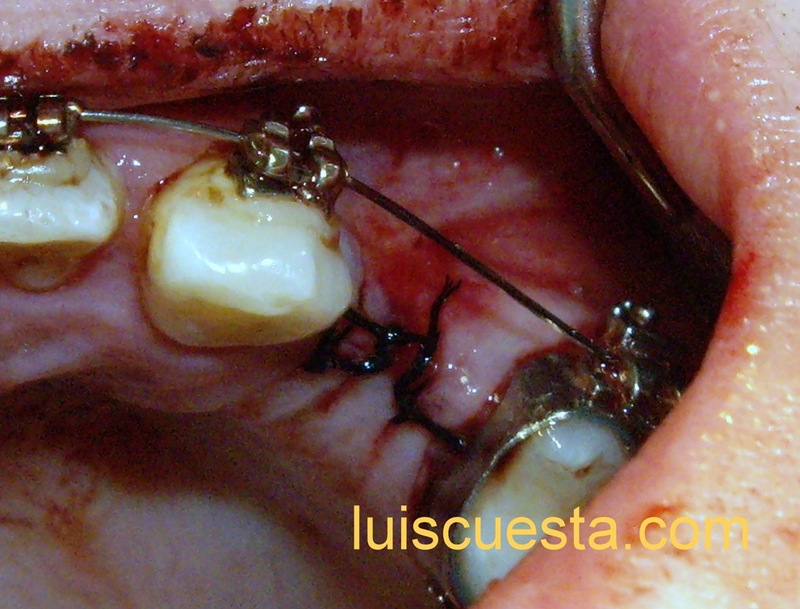 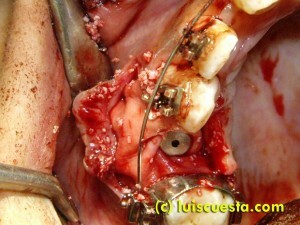 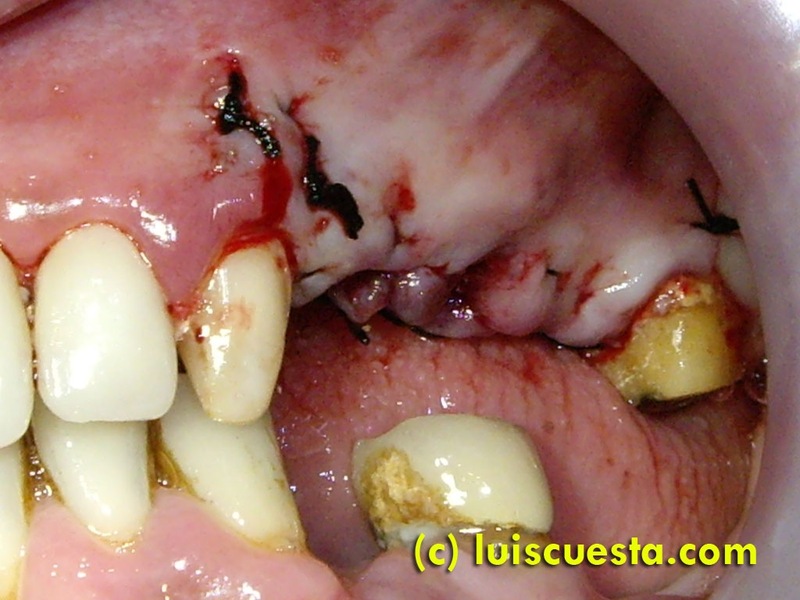 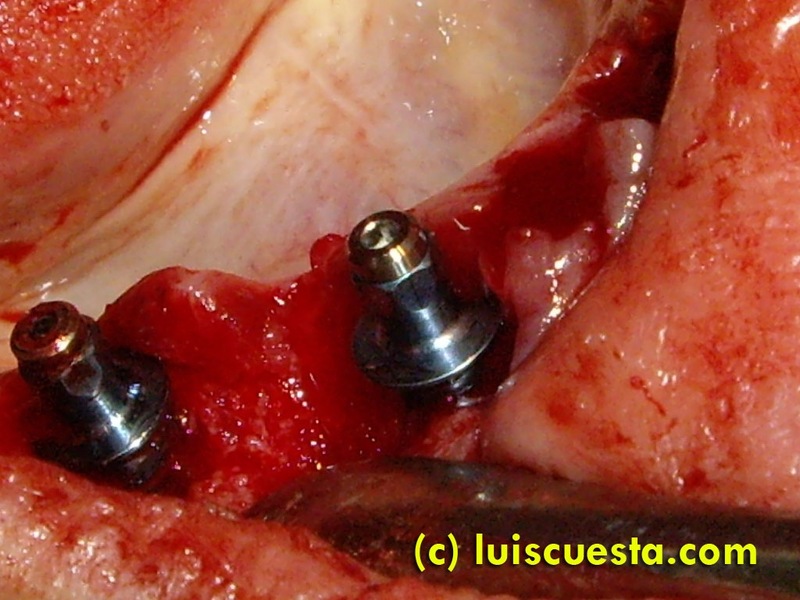 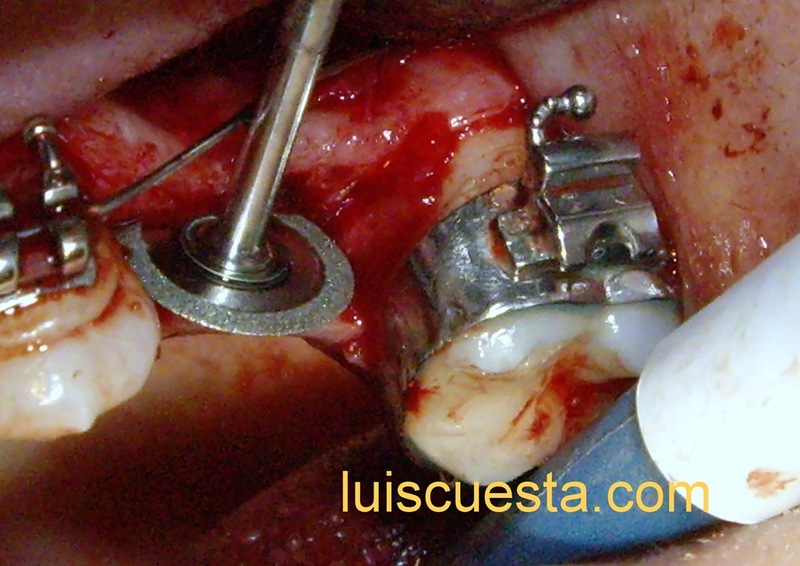 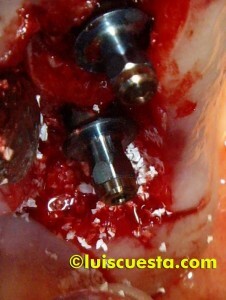 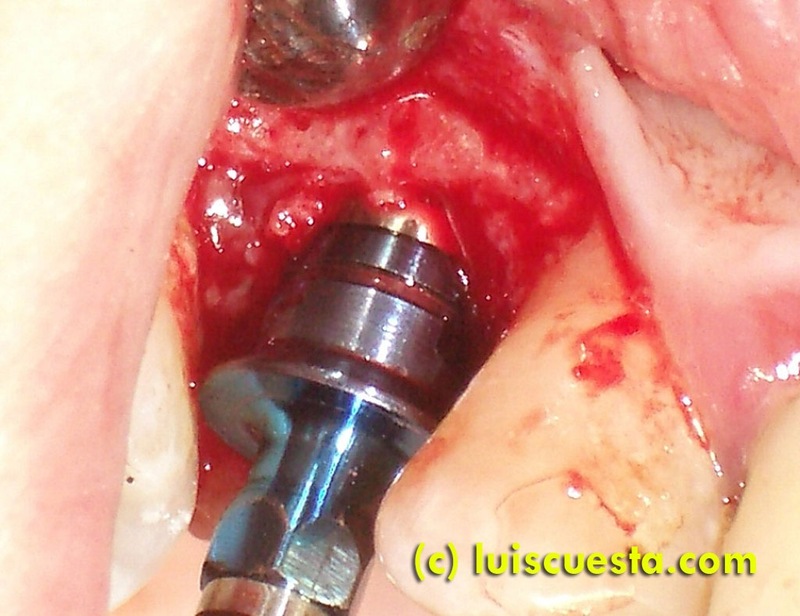 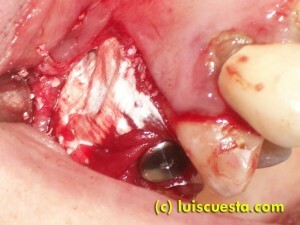 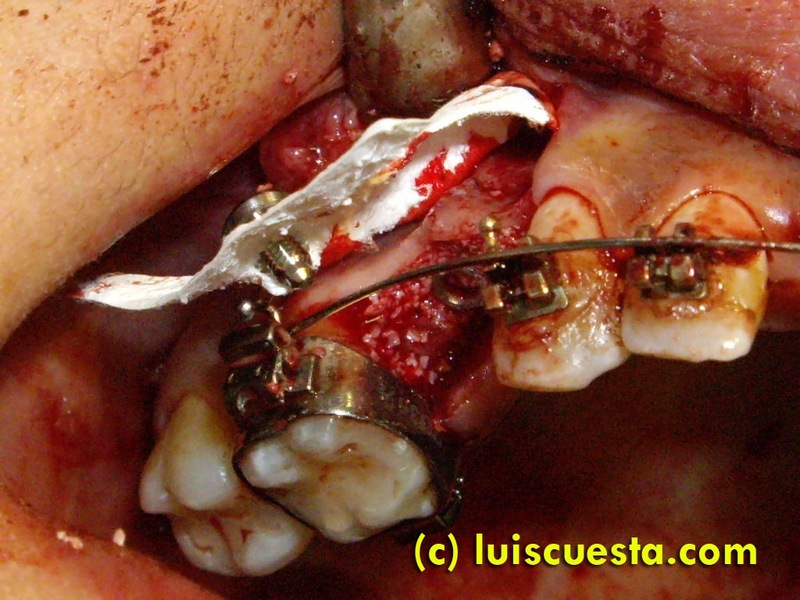 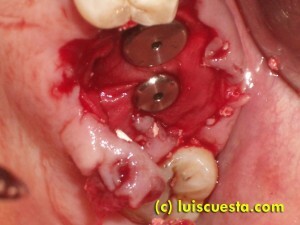 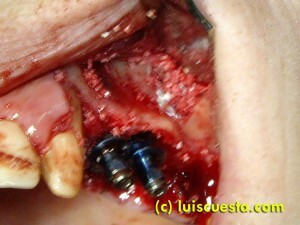 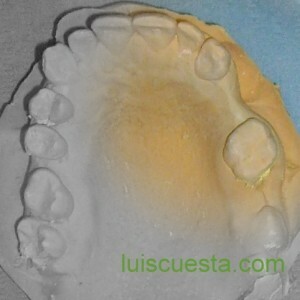 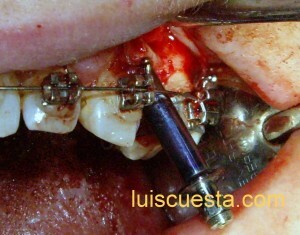 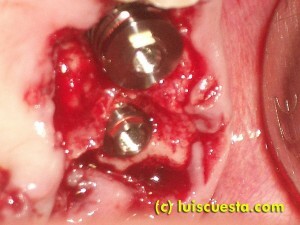 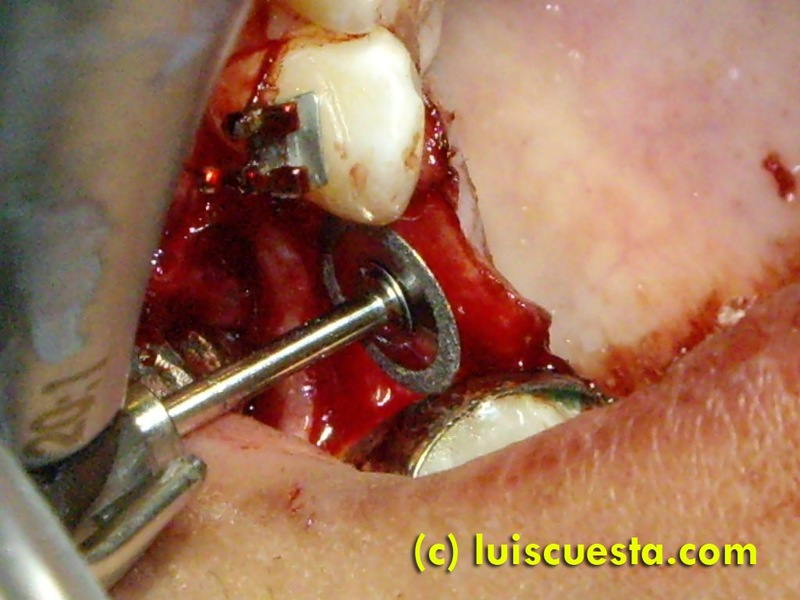 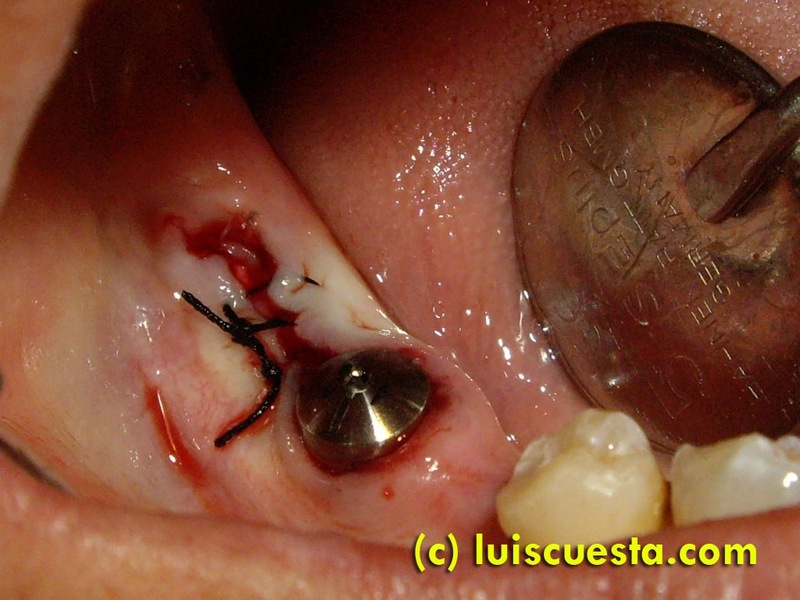 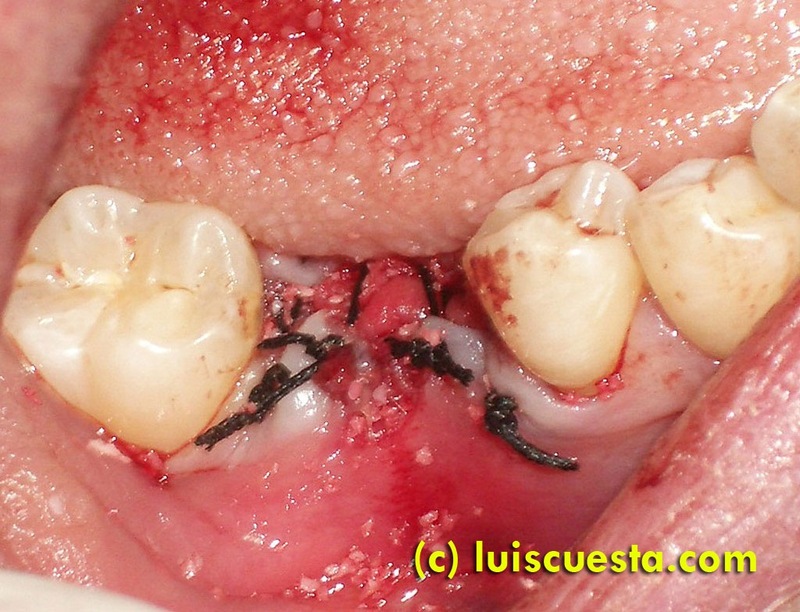 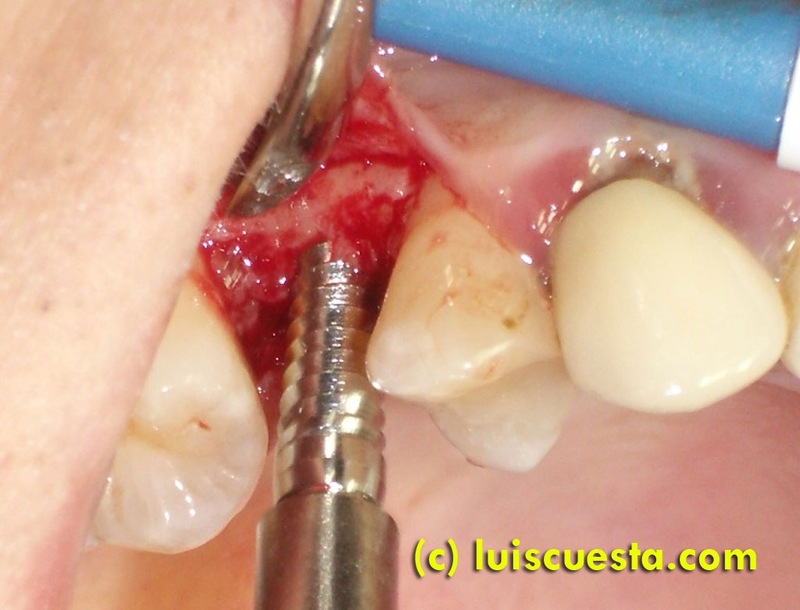 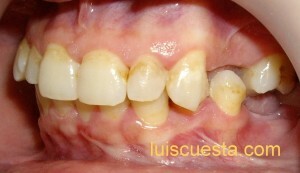 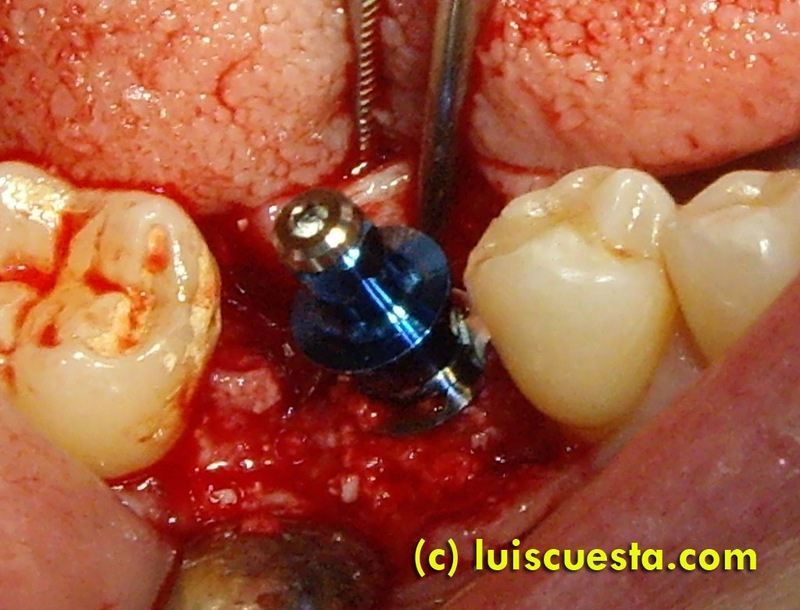 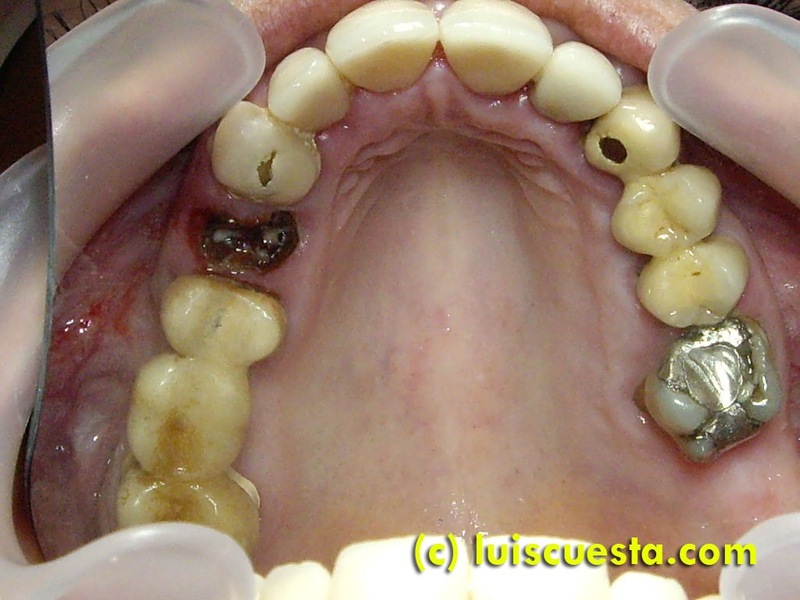 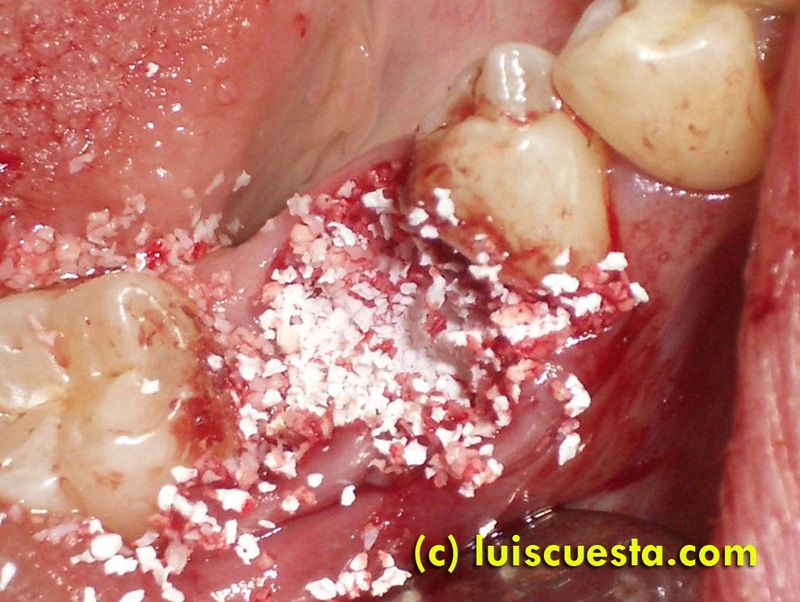 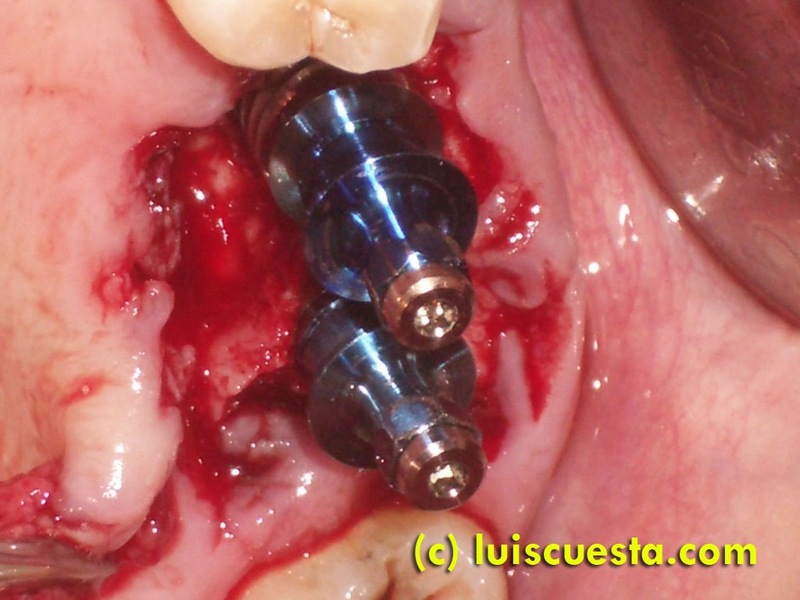 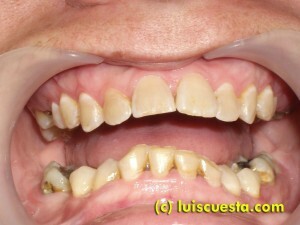 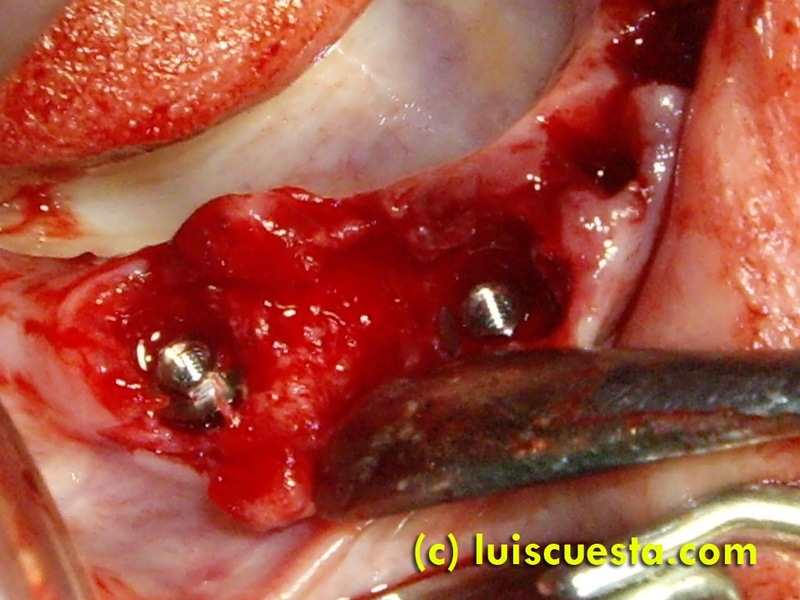 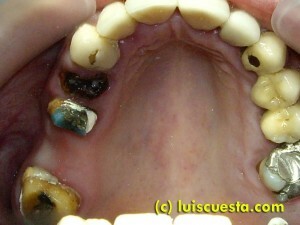 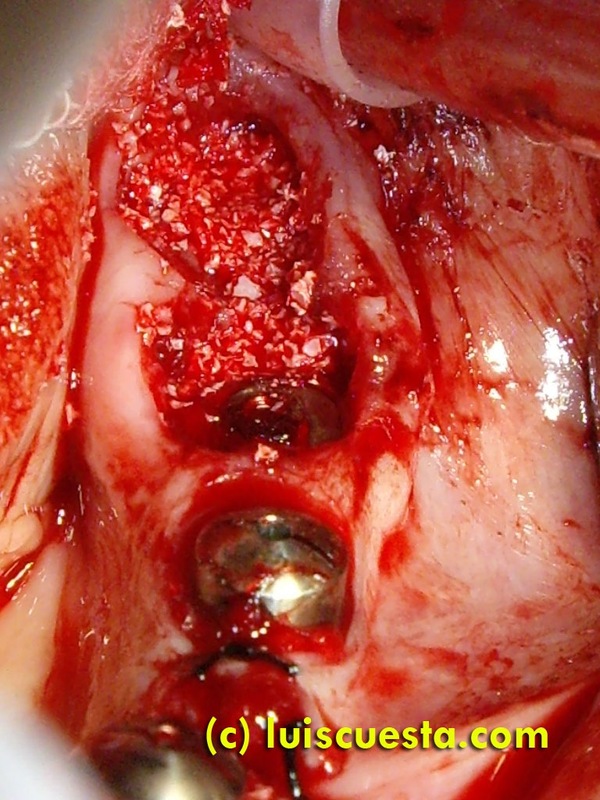 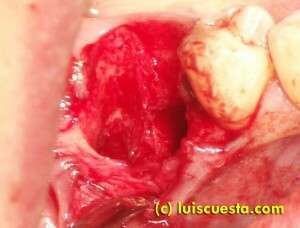 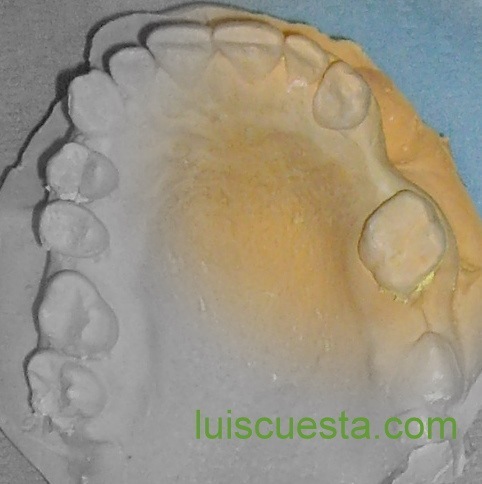 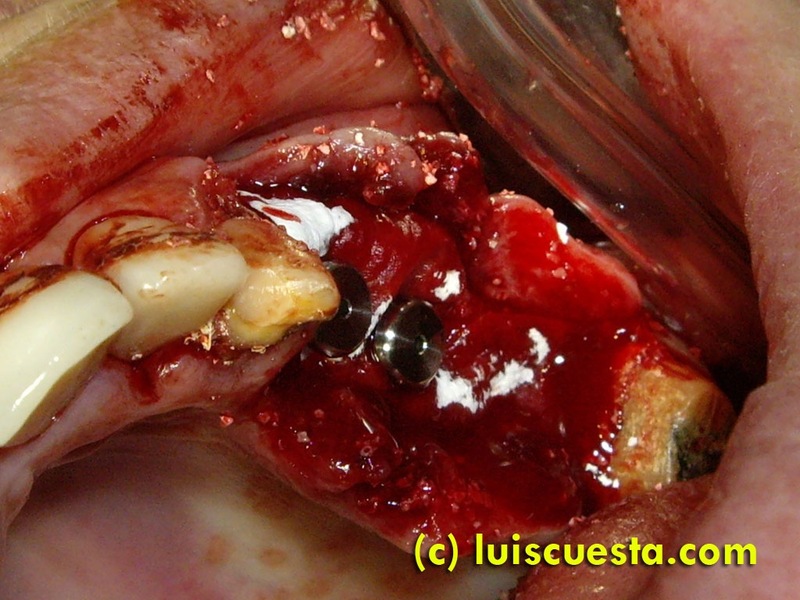 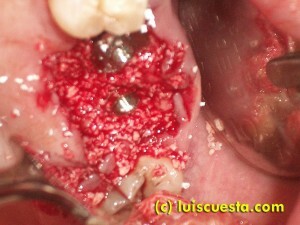 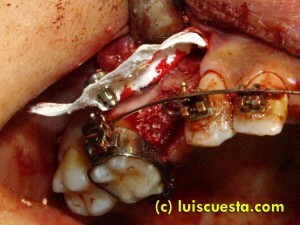 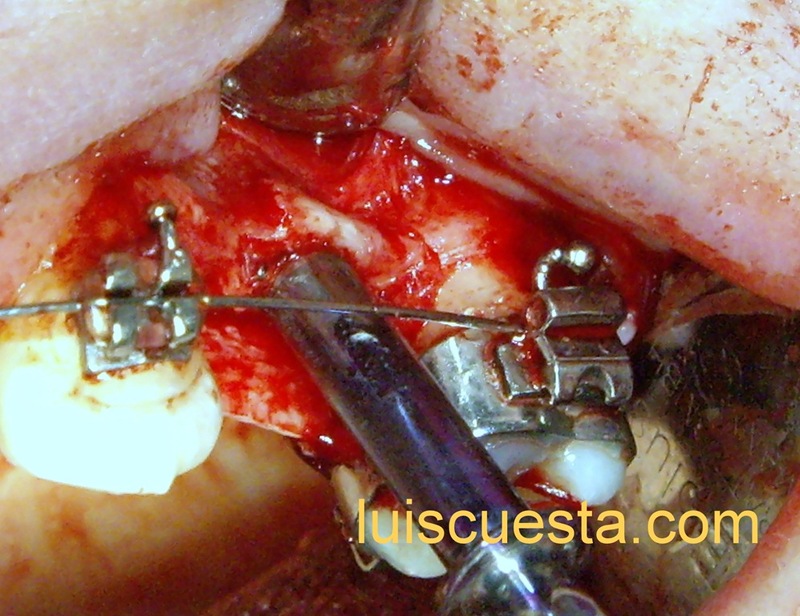 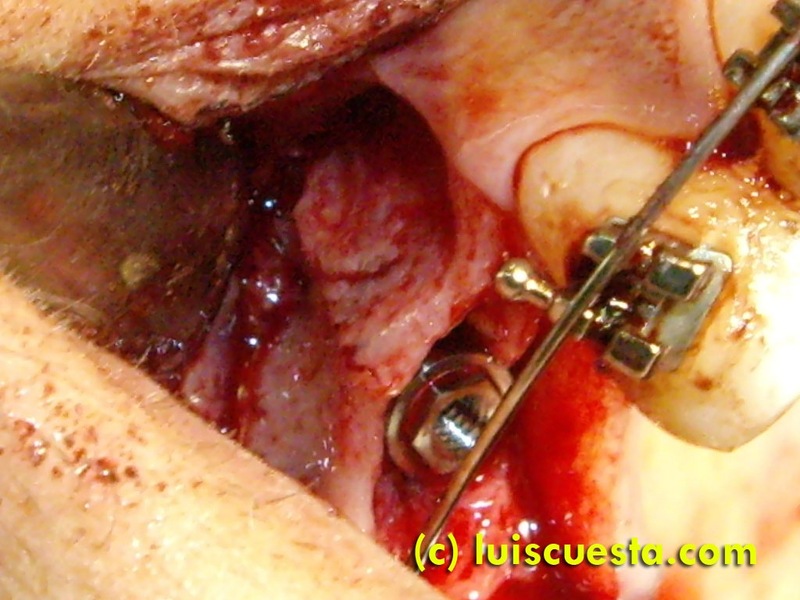 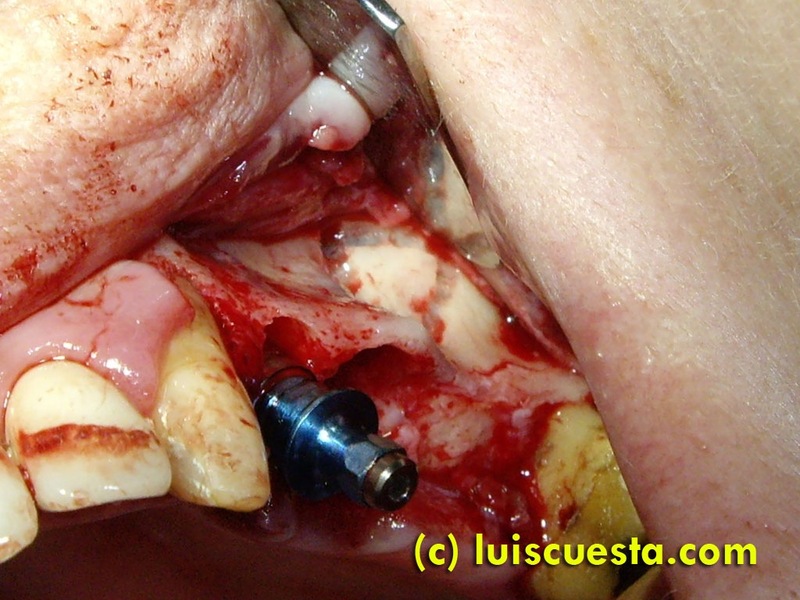 After a few weeks’ resorption, the screws can be adapted more deeply. Six months later, the graft will have enough density as to place the third implant.